It comes as no surprise that developing technological capabilities is a key priority for companies around the world. In 2017, the world’s 1,000 most innovative companies increased their research and development (R&D) spending by 3.2 per cent according to a survey done by PwC. That growth rate is expected to continue as decision makers seek out competitive advantages and areas to cut down on costs and inefficiencies. Looking at the aluminium sector, investments by industrial companies made up only 10.2 per cent of the global spending on R&D. In comparison, the computing and electronics sector contributed to 23.1 per cent of technology investments. This gap begs the question – should industrial companies, including in the aluminium industry, spend more on technology than they currently are? The answer is clear – industrial companies failing to invest in technology development today will lose out in the long run. Technology development and innovation in the aluminium industry is crucial for achieving energy efficiency, productivity and environmental performance. Aluminium companies must continually innovate to remain relevant in the changing dynamics of competitive global markets. Companies that continuously evaluate their production procedures and think of innovative ways to improve efficiency can see the benefits not only in productivity but also their bottom line. At Emirates Global Aluminium (EGA), for instance, continuous improvements and investments in technologies have been fundamental to its commercial success and environmental performance – resulting in cost efficiencies and enhanced productivity. Innovations in smelting have made a significant impact on cost savings at EGA. With its latest technology, DX+ Ultra, EGA has more than doubled the size of pots compared to the technology it started with in the 1970s. This maximises productivity, whilst simultaneously ensuring the correct parameters were in place for heat balance and magnetohydrodynamic stability of the pots. 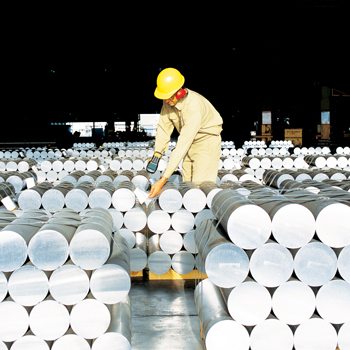 At EGA’s retrofit project, where 520 cells were replaced on the older production lines, the new D18+ reduction cells produce 20 per cent more aluminium than those they replaced, boosting the company’s production capacity by over 58,000 tonnes of aluminium per year, with 10 per cent less specific energy consumption per tonne of metal produced. The new technology also reduces emissions of perfluorocarbons, a greenhouse gas generated in the aluminium smelting process, by 96 per cent. This brings us to a second point. Aside from increased productivity and cost effectiveness, technology can also help tackle negative perceptions about energy consumption by aluminium companies. As an energy intensive industry, we should constantly be on the lookout for ways and means to cut down on power consumption. Technology has been the answer to this problem as well. Today, levels of energy consumed during EGA’s smelting process using our latest technology are among the lowest in the industry. EGA’s technology development, and earlier work since 1980, has reduced the amount of electricity required to produce aluminium by 37.5 per cent, improving both cost and environmental performance. In fact, EGA DX+ Ultra Technology ranks among the most efficient reduction cell technologies currently available. The efficiencies and benefits gained through innovation and implementation of this technology have not gone unnoticed. EGA’s DX+ Ultra Technology was selected by Aluminium Bahrain (Alba) for its Line 6 expansion project – making EGA the first UAE industrial company to license its own large-scale industrial technology internationally. Our need for creative thinking has also helped forge a link between ourselves and academia. This is important as university-industry collaborations have proven to be mutually beneficial through strengthening the ability of universities to conduct high quality, usable research and, more relevant to us, enhancing the capability of industry to compete globally. Aluminium companies should encourage such partnerships and practical research projects should be undertaken at industrial sites rather than in labs. In our work, we see the impact of technological innovation every day. A strong innovative culture can have high payoffs. Integrating technological innovation into the business model of companies in our sector is essential to stay relevant. Aluminium companies that wish to compete globally and remain competitive have much to gain from making increased investments in technology. Our success in the years ahead depends on it.